ELGIN, Ill., July 9, 2013 -- National Gift Card Corp. (NGC) announced today it has named Eric Thiegs senior vice president – Business Development, responsible for leading the company's growing sales and client relationship activities. Thiegs, a 15-year veteran of the partnership marketing, member benefits, loyalty and rewards arenas, was most recently managing director of Stage of Life, LLC, York, Pa., a loyalty and rewards consultancy for many national brands, including HSBC, Discover Card, and TracFone. In addition, Thiegs served as director of partnership marketing and national sales director at Access Development, Salt Lake City, Utah, and led business development activities at Barry Group, York, Pa., for clients in the Pennsylvania and New York regions, and was senior account executive at Aimia, (formerly Carlson Marketing Group) for the agency's Visa USA account. A Minneapolis native, Thiegs was awarded a bachelor's degree in speech communication from the University of Minnesota. He was named one of the top "Forty Under 40" leaders in the Pennsylvania business community by the Central Penn Business Journal, and last year, his efforts placed key client relationships into the hands of over 70+ million US consumers. "Eric brings a wealth of energy and business development experience to the National Gift Card team, said NGC President Adam Van Witzenburg. "In all, he has helped nearly 1,800 national brands extend their reach with a wide variety of partnerships and affinity programs." About National Gift Card Corp.: National Gift Card Corp. is the leading marketer and supplier of gift cards and beyond for use in loyalty, incentive and rewards programs. The agency offers a wide variety of retail, restaurant and prepaid cards along with secure online ordering, distribution, fulfillment services and customized programs designed to reach each client's specific objectives. NGC continues to develop innovative technology solutions and delivers the best value to its customers. 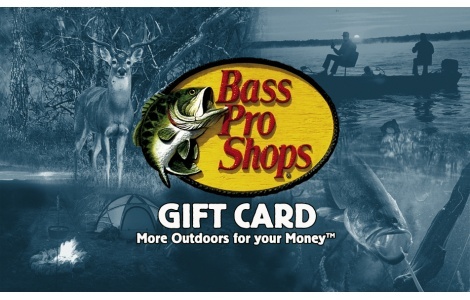 National Gift Card is headquartered in Illinois with sales offices in Florida. To learn more about National Gift Card Corp., visit http://www.ngc-group.com or call 877-959-6212.